If you are looking for an oil change in Hillsboro Beach, Florida, you have come to the right place. We are a team of certified automotive specialists who are committed to providing exceptional oil change services and customer care. We stand for quality, premium customer service and the best deals in Hillsboro Beach, Florida. 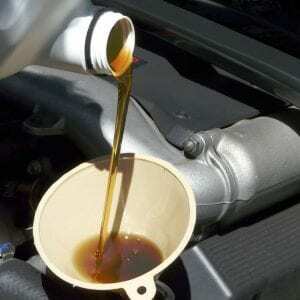 You may have heard that regular oil changes are one of the most critical aspects of a vehicle’s maintenance routine. Skipping oil change can result in dirt accumulation which can lead to reduce your fuel efficiency, gas mileage and impact the overall performance of your vehicle. One of the most visible signs of an issue with your oil is a noticeable leak. If you inspect the hole and see a leak, give us a call. Detecting a problem early can save you a ton of time and money and prevent a significant loss in the end. We at Tropical Performance provide an oil change service that’s fast, reliable and warranty-approved. We put our customers first above everything else, making sure to give you the best of all facilities at affordable rates. Our Certified technicians are trained to understand how your vehicle uses oil and what can do to improve the performance of your engine. Getting your oil changed by one of our experts not only helps your car performs better but also give you excellent service at a great price. With us, you get a good value of your money and peace of mind as well. We can help you select an oil most suitable to your vehicle needs. We use different types of fuel including conventional, synthetic blend, and full synthetic as well as high mileage oil to meet the requirements of most every vehicle. Trust our expert team for oil changes and auto service needs. Contact us today to set an appointment and avoid expensive repairs down the road.